Because the Fw 190’s performance faltered at high altitude, in 1943 Tank began development of a radically different version. The new Fw 190D was powered by a liquid-cooled in-line engine, although its annular radiator preserved the radial appearance of the series. The fuselage was also lengthened and heavier armament fitted. “Long-nose Dora,” as it was called, became the best German fighter of the war, easily capable of tangling on equal terms with P-51D Mustangs and late-model Spitfires. It was not until December 1944 that this aircraft saw operational service. The Junkers Jumbo 213A-1 engines produced an amazing 2242hp at sea level and had a methanol injection system as well. The speed at 20,000 ft was 426mph and at sea level it was 327mph. The climb rate was quite impressive from sea level to 32,000-ft it took only 7.1 minutes. 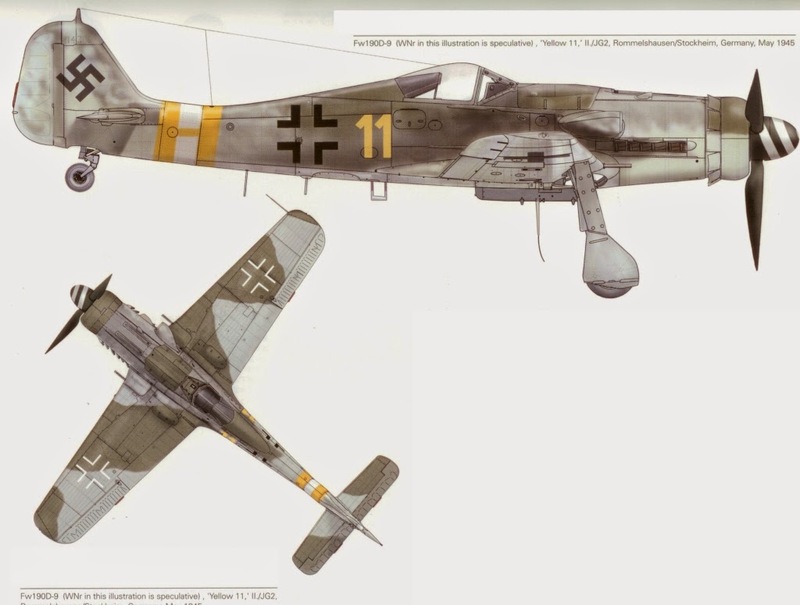 Even though the FW190D-9 “Langnasen-Dora” shared parity with many allied fighters, it also suffered heavy losses, both in the air and on the ground. Many inexperienced and poorly trained pilots, were no match and were at the mercy of the allied pilots with a great deal of flying time and combat experience. Kurt Tank had designed this model to operate as a high altitude fighter but the cabin design was unable to provide adequate pressurization. The aircraft was used to replace The FW 190A at lower altitudes and coincidentally was sometimes humorously referred to as “Downstairs Dora” or “Maid”. Pilots that flew the FW 190A were somewhat distrustful and apprehensive to switch over to the new FW 190D-9 with its liquid cooled engine. Once these seasoned and operational pilots became accustomed to this new breed of fighter, they soon regarded it to be the best piston-engine fighter to serve with the Luftwaffe in World War II.